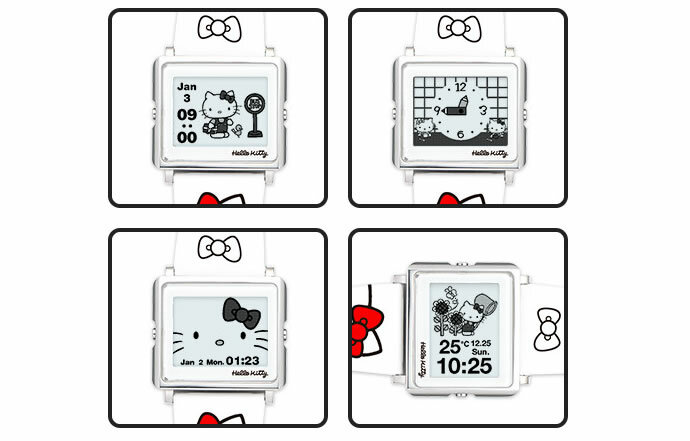 To celebrate the 45th anniversary of “comic” model of the popular character Hello Kitty, Epson has created this special limited edition model of its Smart Canvas watch series. 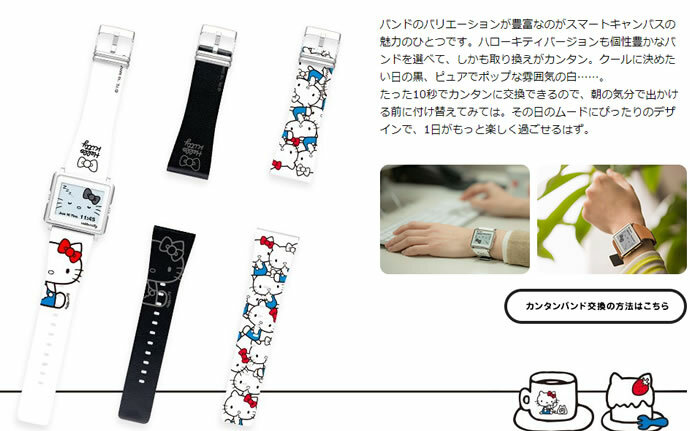 The Epson Smart Canvas Hello Kitty 45th Anniversary Model is only available in Japan. The product is limited to 300 pieces only and can be purchased in Japan only from Shinjuku Takashimaya 1F The Main Square HELLO KITTY 45th Popup Shop. The sale will start on February 13th 2019. 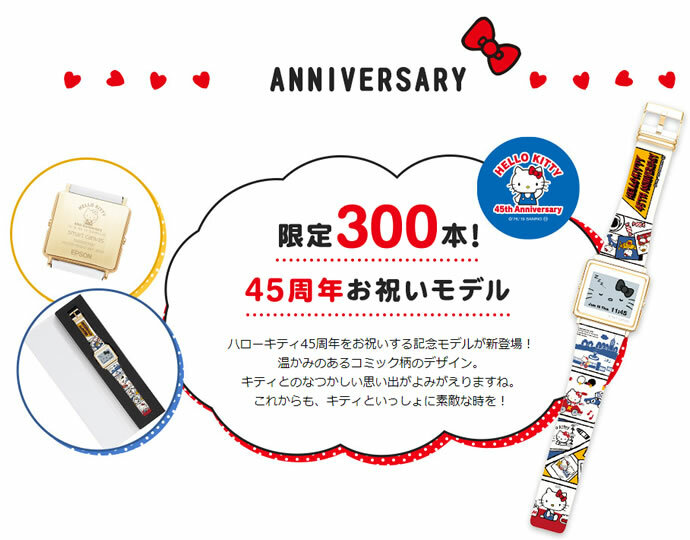 The limited 45th anniversary edition of “comic” model of Hello Kitty Smart Canvas watch comes with a gold back cover and a limited design band. 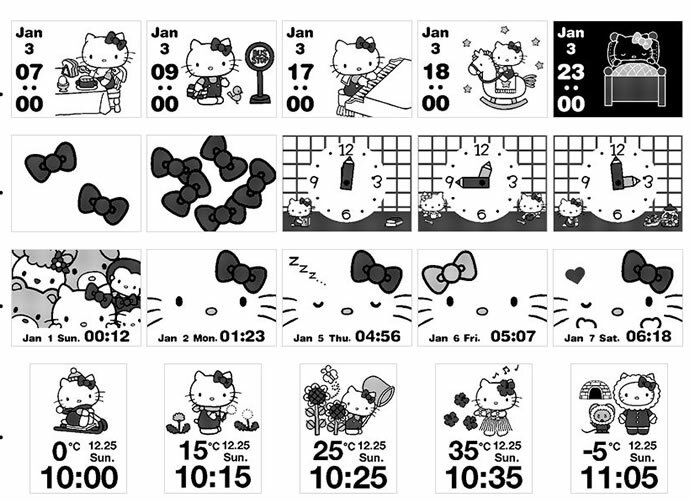 With 80 kind of different graphic of Hello Kitty that changes with time, user can enjoy the special graphic screen with time. The time can be viewed either in analog or digital format. 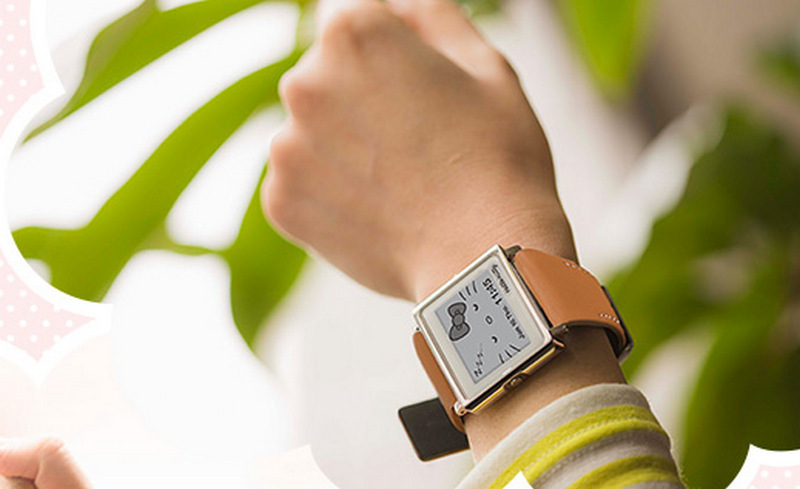 When placed on a desk, the watch automatically shows time in vertical display with day, date and temperature. In addition, a wide range of replacement bands are available for Smart Canvas, so you can enjoy changing styling and changing the band to suit your mood. No special tool is required for changing the strap. The strap can easily be changed in about 10 seconds. The limited edition (300 pieces) of “Comic” model is available for approximately 22,000 yen ($200) excluding taxes in Japan.